It seemed like a big challenge to come up with ten new Bangladeshi artists when I started contemplating this feature. For a scene as small as Dhaka, 2013 was a remarkable year for many reasons. It was the first time electronic music workshops took place here – facilitated by Border Movement. It was also the first time this genre of music received a positive reaction with local press showing immense support in response to the few events that were held. As the DES continues to grow every week, here are the favorites for this year. Well, that’s not the name of the artist. As things are happening very quickly in Dhaka – motivated artists are looking for ways to work together. I wanted to use this space to mention a few of them. 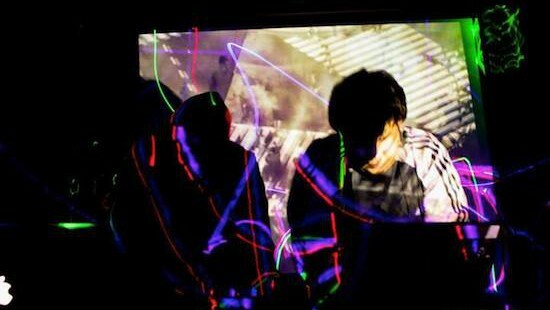 Fahad Zaman and Big Machete’s project ‘Darkroom 4’ was conceived during the Sound Lab Dhaka residency. Their debut performance together was at “Room”. Mode Silver, one of the finest rap artists from Dhaka ran a very successful remix campaign managed by DES. It was astounding to see the response with remixes submitted from the Americas, Europe and Asia. 70+ remixes were submitted in total. Fuad is a big name in the Bangladeshi pop music industry. He introduced elements of electronica in his music over a decade ago and after mainstream success, has re-surfaced with Electro Records, a project that leans more towards dubstep and bass heavy sounds. 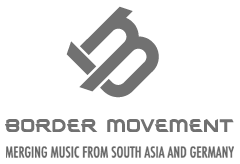 Many Bangladeshi artists have been able to perform live with the help of Border Movement’s Dhaka Sound Lab project and have since played more gigs. The use of visuals are also slowly being introduced by DES members – things are looking interesting for the Dhaka scene. Rizvi Mahmud has been a music promoter and producer for several years. In his final year of studies (2010), Rizvi ran electronic music portal: “Ministry of BD DJS” featuring pretty much everything until quite recently when he decided to curate it to some degree. His production has varying degrees of influences and his last track “Rebel Warrior” has been a hit among fellow DES producers. It used Kazi Nazrul Islam’s poetry over a dubstep track – something that nobody has ever done before. The same poetry was used by Asian Dub Foundation a while back in a track with the same name – a refreshing update for anyone who likes the combination of Bangla poetry with heavy bass. This should become a genre…. Trippion aka Sarfaraz Latifullah is the bassist of legendary metal band ‘Cryptic Fate’ who are recognised for taking Bangladeshi metal to a whole new level over a decade ago alongside Artcell and Black. Unlike the other bands, they remained strong and steady and still produce great music. It was a surprise when I learned that he was producing electronic music at a time when metal bands (and even the listeners) were skeptical about the genre. Signed to Electro Music, another sub-label of Incursion Music (famous for underground band releases), Trippion is one of the few house producers on the deeper side. Space/Ghost has been one of the most consistent producers from Dhaka. In March 2014 he is set to perform his first piano session in front of an audience and his debut EP is also in the pipeline set to release via Akāliko Records. His love for analog sounds is evident in his production as are his French house and indie electronica influences, almost making him sound like the old Daft Punk at times. Zaeid Ali is a producer and DJ based out of San Francisco. Recently he’s been a making a lot of 70s and 80s inspired sounds with overly dramatic space disco. Ali works with Ableton and a small batch of hardware synths, Juno 60, Juno 106 and Poly 800 with MS20 Mini being his favorite. His project TV Girlfriend is almost 2 years old now. Misha Ali moved to New York in 1999 and started DJing and producing there shortly afterwards. He has held residencies in various venues around Manhattan and Brooklyn and has played in Paris, Barcelona, Shanghai and at the Winter Music Conference in Miami alongside Justin Martin, Brett Johnson and Slater Hogan. After 10 years, he moved back to Dhaka and rebooted his career here. In recent times he has shifted his focus to production and composes his own brand of funky electro tech house as well as occassionally dabbling in glitch-hop. He is also the soul of Electro Records. The Lalon of DES. Don, originally from Turkey, has adopted Dhaka as his home city. He brought with him his experience and it has been remarkable watching the crowd get into his funk, soul and house anthems. Opening sets for the likes of Parov Stellar during his days in Istanbul makes him one of the most experienced DJs in town and a mentor for the younger ones. Yet, this hippy procrastinator has not officially released any of his music. This year that spell might end as he’s set to release his first EP. They mostly produce dance floor sensible tracks along with some dubstep. Not limited by genre, the N99 duo, Namir Hassan and Kevin McMahon, love rock and metal. Deadmau5 was one of their first major influences and later Skrillex had a huge impact on them. They also experiment with drum and bass sounds. The face of DES in all rights, Omer is a programmer, producer (who is yet to release anything) and the technical guy to go to. He has been in the Dhaka expat circle for a long time now and is one of the most experienced and successful DJs in the Dhaka circuit. It was his remix of Massive Attack which led me to believe that it might be possible to harness a community of electronic music producers in Dhaka, and he has been a great asset to all the recent developments. His sound is influenced by Radiohead, Underworld and recently Noisia and Deadmau5; he’s now focusing on forming a bass heavy set. This could definitely be the biggest solo release of the year. A great new addition to the community, Saarim has been able to catch the attention of the scene with only a handful of releases. His track “” was featured in Dhaka Electronica Scene’s third compilation. Saarim’s style is full of surprises for the listener and his techno influence is rare for a Bangladeshi producer. Sarfaraz bhai is the guitarist of Cryptic Fate. Shakib Bhai is the bassist.